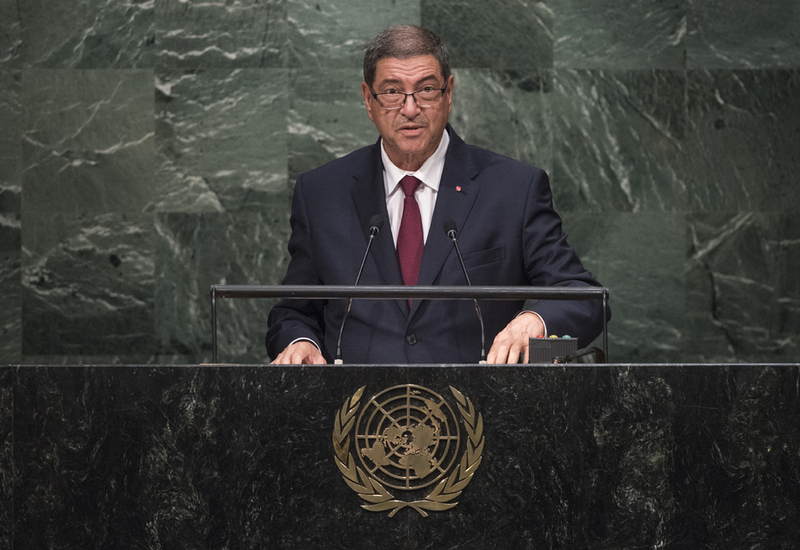 HABIB ESSID, Head of Government of Tunisia, said his country had witnessed important work in its democratic transition, where growing political awareness allowed stakeholders to employ dialogue to resolve its problems. Legislative and presidential elections had produced robust institutions that were focusing attention on policies and programmes aimed at promoting social and economic development. National guidelines on ensuring sustainable development had been crafted in the interest of the people and the country in alignment with the global agenda. Changes in the region had been swift and ongoing, leading to an exacerbation of the terrorist threat which jeopardized safety and security in many countries, he said. Although Tunisia had made great strides in countering terrorism, it was the victim recently of two heinous attacks aimed at undermining the country’s culture of tolerance as well as the economy. Tunisia’s counter-terrorism strategy went beyond a military dimension and sought to address root causes through bilateral and multilateral cooperation and coordination. The escalation of conflicts across the globe — regardless of the reasons — was a source of concern and required greater international partnership. Tunisia supported the resumption of peace negotiations between Palestinians and Israelis within a specified time-table that would end the occupation and grant Palestinians their legitimate rights, he said. Efforts to change the status quo and undermine the two-State solution were unacceptable. Libya was witnessing a crisis whose fallout went beyond its borders, which underscored the importance of a political solution. The worsening crisis in Syria required credible and immediate measures to end the violence and protect lives. International efforts to revive a consensus-based political solution were urgent in Syria as well as in Yemen.